To everyone who purchased a copy of Controlling Illusion a big THANK YOU for helping to make my first book a success! I'll be working on converting it to an ebook format and offering Controlling Illusion electronically in the near future.Will follow with an update and additional information as the time approaches. Controlling Illusion is a specialty art education book published by The Animation Academy and can only be purchased online through this site. Welcome to my first book. The trip from beginning to end took more than 22 years. If I realized where I was heading with it all that time I would have authored this sooner. It's never too late to create! 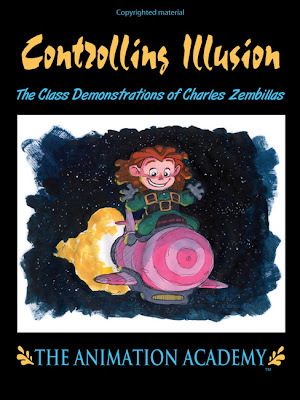 Controlling Illusion is a compilation of drawings, sketches and paintings I've come up with while teaching, almost all within a classroom environment, including the lessons I endeavoured to communicate. It's an educational anthology in art through an animation design and development venue.